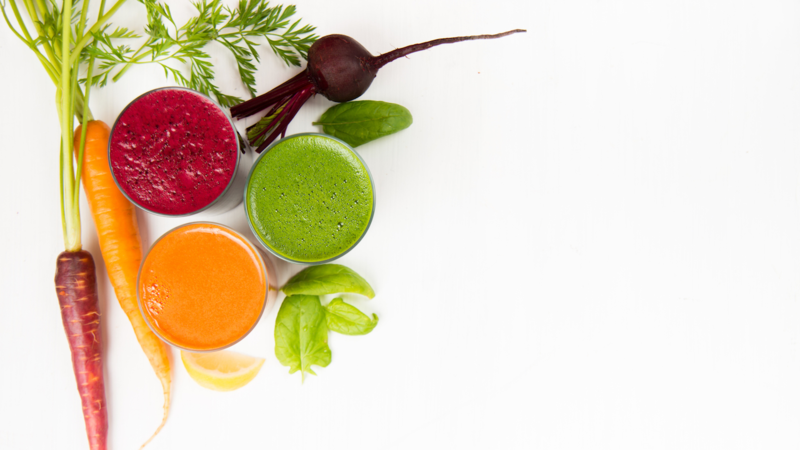 Have you ever entered a juice bar and had no idea where to start? With all of today’s options, it can be a little overwhelming. Let’s go on a tour of the best things to order from juice bar menus; ingredients that will make a difference for your health concern. 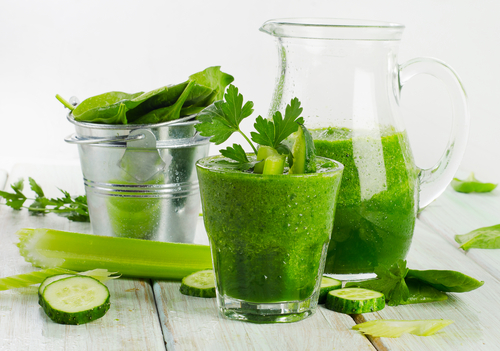 Juicing is ideal when you want to maximize nutrients and need to avoid extra fibre. This may be for medical reasons (i.e. if you have Inflammatory Bowel Disease) or you simply don’t like the texture. 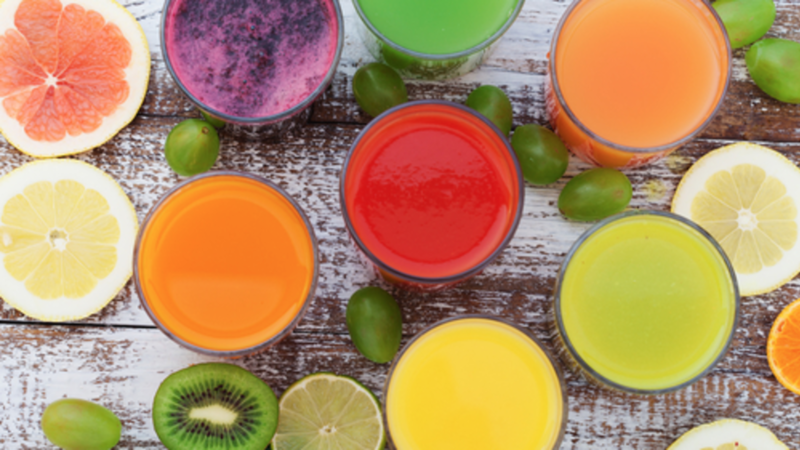 Juice is more concentrated and often tastier, though it can be much higher in sugar. Blending is fantastic when you want the most economical nutrition with the added benefits of blood sugar-balancing fibre. Both are excellent ways to boost your overall health and it really comes down to personal preference. Let’s look at how to have the best of both worlds! Note: Adding ground, mineral-rich seeds (sesame or hemp seeds) and Slippery Elm Bark Powder into shakes help to reduce acid reflux. 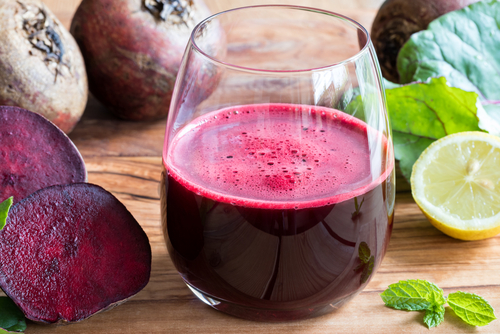 Note: Blending bitter liver detox remedies with sweet fruits and lemon will create a balanced drink that tastes great. Note: Focussing on Silica and Vitamin C-rich foods helps to produce more collagen, reducing the appearance of wrinkles and keeping skin radiant. Note: Instead of reaching for more coffee, try reaching for kinder caffeine. Green Tea and White Tea have 1/3 the caffeine of coffee, while Yerba Mate is very energizing. For more information on kinder caffeine, watch my video. Directions : Add all ingredients through a juicer and enjoy! Note: If using sweet fruits, add some sour (apple or lemon) to lower the Glycemix Index of your juice or smoothie. Which type of juicer should I buy? It really depends on your budget and how often you plan to use the machine. If you are just starting out and have a minimum budget, I recommend the Breville Juicer. It's a good quality product that should last a small household for quite a few years. 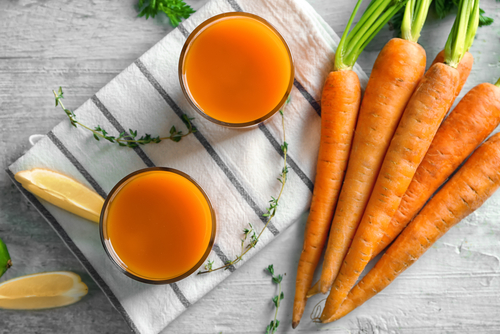 If you're getting serious about juicing and are looking for a product that will last long and give you more juice out of your veggies, I suggest the Omega Nutrition Centre Juicer. If you're a die-hard juicing fan, the Angel Stainless Steal Juicer should last you for decades. It has an excellent extraction process and is easy to clean.